TL;DR: The Yi Ultra Dash Camera records high quality footage, gives you peace of mind, and you’ll barely know it’s there — all for an affordable price. NOTE: Yi provided GoGoDadget a Yi Ultra Dash Camera for free in exchange for this open and honest review. All thoughts, good and bad and everything in between, are GoGoDadget’s. I really like Yi — their Action Gimbal and 4K+ Action Camera are a match made in heaven, and their sister brand Kami, which is brand new, elevates home security in a thoughtful way. So when Yi reached out and asked if we wanted to give some of their dash came offerings a spin, we of course jumped at the chance. 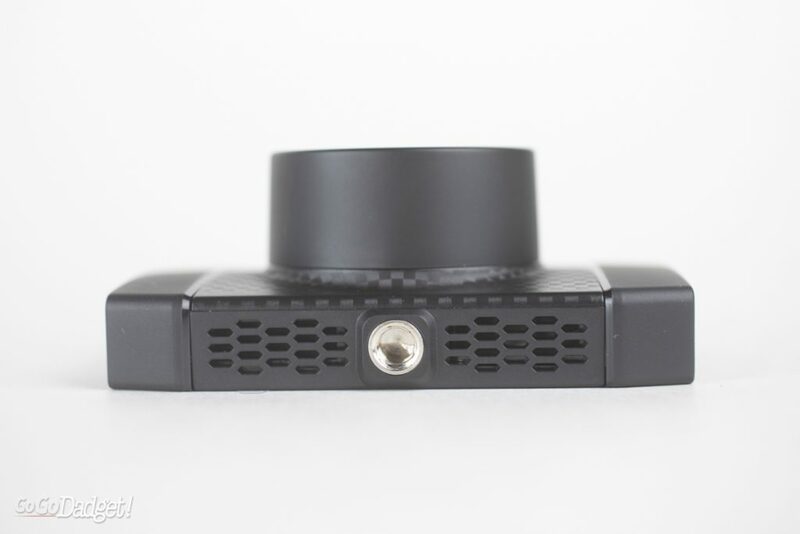 We’ve been testing it for about a month, and, well, the Yi Ultra Dash Camera might be the perfect dash camera for those looking for a low-profile way to protect their car in any number of dangerous situations on the road. If you have kids, this added security is not just welcomed, but a necessity — every parent should have a dash camera. 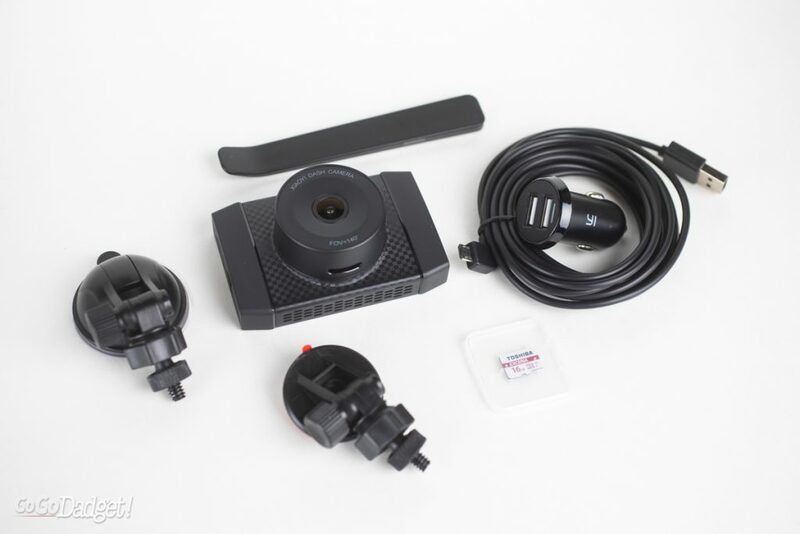 The Yi Ultra Dash Camera is small, lightweight, and tucks itself away near your review mirror with the included mounts — one a more permanent (“permanent” in that you can always remove it, but not as easily) 3M adhesive, and the other a suction cup. 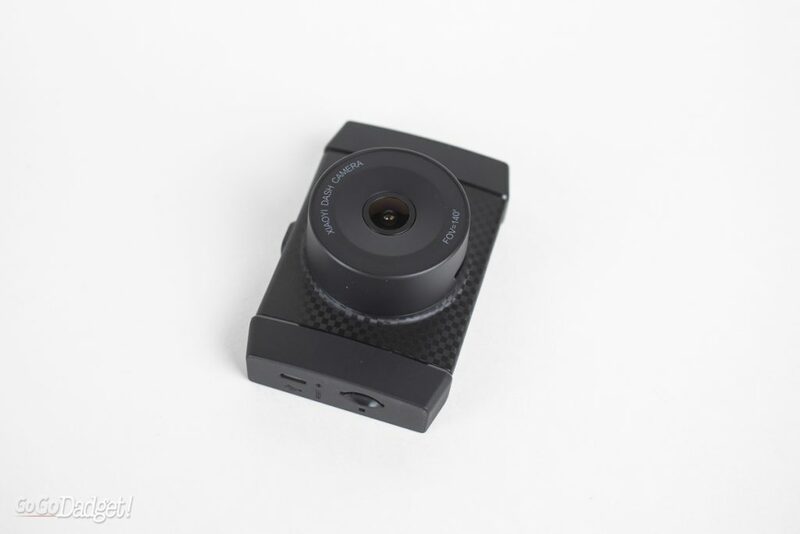 On the camera itself, you’ve got a 140° wide angle lens that can see up to three lanes in 2.7k (2x the resolution of 1080p), and a plastic build that lets the camera breathe — because your car will get hot at some point, and overheating wouldn’t be great. I haven’t used it in the summer yet, though I will update and provide coverage on social media when summer arrives to let you all know how it’s doing. On the back, you’ve got a 2.7in screen — it’s not a touch screen — four control buttons with different functionality depending on the menu, and LED indicators for power and recording. 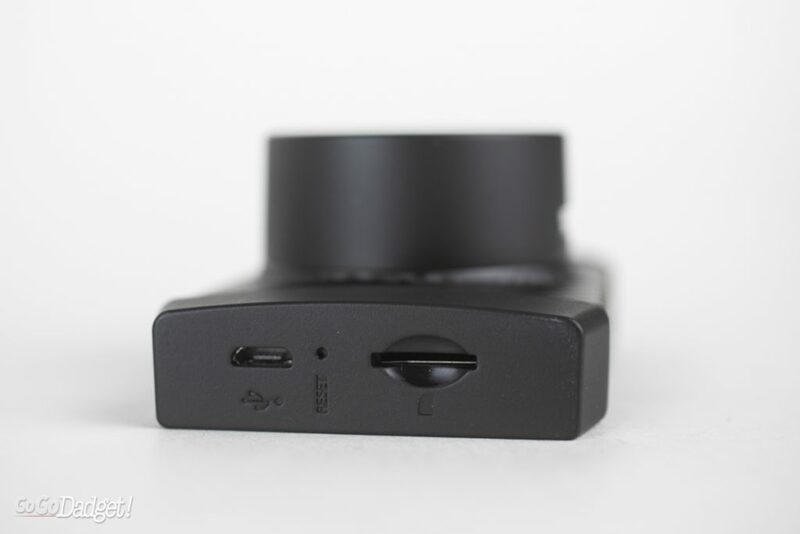 The side of the Yi Ultra Dash Camera has a power port (micro USB) and the slot for the MicroSD card (which, Yi includes a 16gb card with each camera!). The top and bottom have holes for ventilation. In addition to the two suction cups and MicroSD card, Yi includes a rather long MicroUSB cable and a dual-port power adapter. Inside of the unit is a dual-core chip built specifically for high performance and low power. 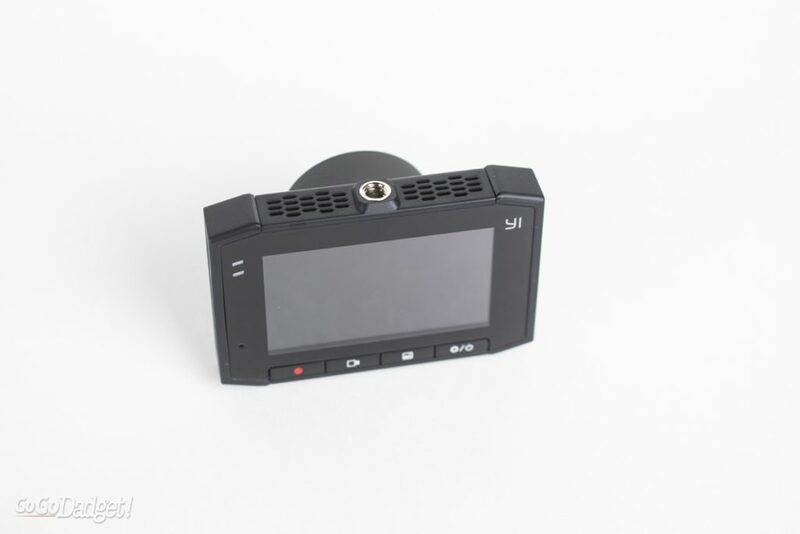 There is a built-in battery for recording in case your car loses power, but at the time of writing this I don’t know what size the battery is or how long it will last. Enough for a good buffer, though. Turn it on, connect it to the Yi Dash app (or not), and start recording. It’s that easy. You can either set the date and time manually, or sync it with the app — I actually set it manually (after I got some test footage, so the date and time are wrong in the examples below), because I didn’t have time to connect to the app right away in my first use. 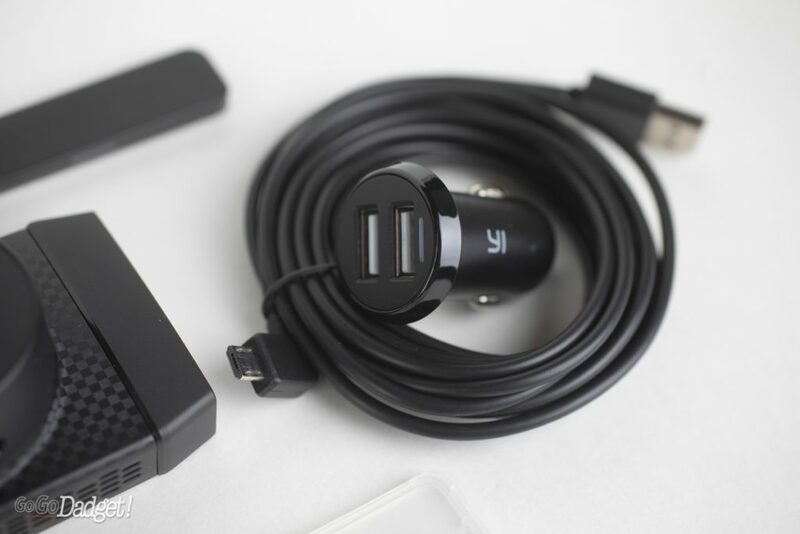 The hardest part of setting up the Yi Ultra Dash Cam is the power cable. At first, I just let he cable dangle down because I was in a rush, but that was a bit distracting and not as clean as I’d like it to be (though, not distracting enough to be dangerous by any means — have you ever had a standalone GPS?). The best thing to do, then, is re-route the cable into the fabric of the roof, follow the windshield to either side of the car, then run the pop off the plastic housing on the car and run the cable down behind it, and through the dash of the car. Then, you run the cable right above where your legs are and plug it in. It’s all but hidden this way, but I’ll be honest: it’s scary doing this to your car, and it’s not super easy if you’ve never done it before. Look, I gotta be honest: it took me almost an hour to figure it out. BUT, I could probably do it again much, much quicker now that I know what I’m doing. Most of the issue was apprehension and not really knowing what I was doing and being afraid I wouldn’t be able to put things back the way they were. I’ll have a how-to on this soon, to ease everyone in. Like I said, the setup of the dash cam is easy if you don’t want to or need to run the cables, and once you get everything set, it’ll just boot itself on when you turn on the car, then record (both during normal driving and when it detects emergency situations). If you want the footage, just download it to your phone over wifi or pop out the SD card and put it in your computer. Easy. What isn’t super easy is figuring out how to navigate using the four buttons that change functionality depending on the menu. Like running the cable, once you get it you get it, but the first time I started using the dash cam I ran into some frustrations with navigation because I just didn’t know what the heck I was doing. For example, I got stuck in a footage playback and couldn’t figure out how to quickly get out of it, and it just kept replaying and replaying. 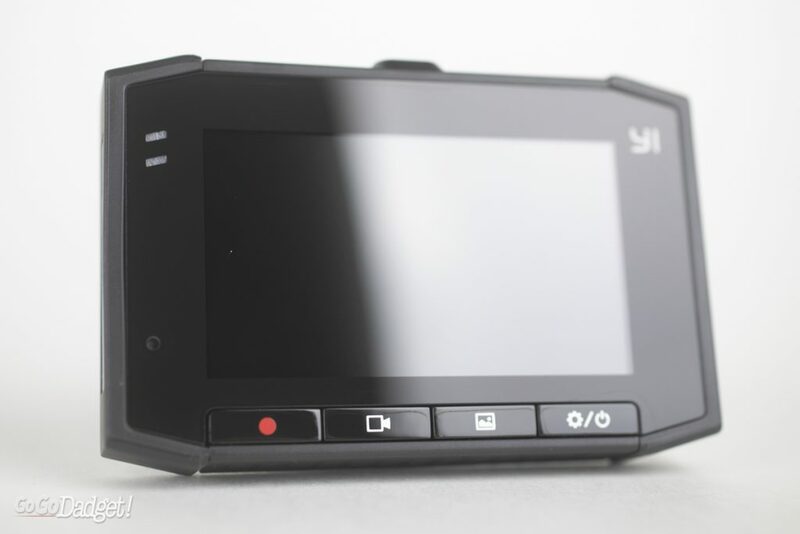 I’ve had a much easier time with the Yi’s Mirror Dash Camera’s touch screen — a review coming soon. Now that I’ve been using it for weeks, though, it’s all a breeze. There’s just a bit of a learning curve. 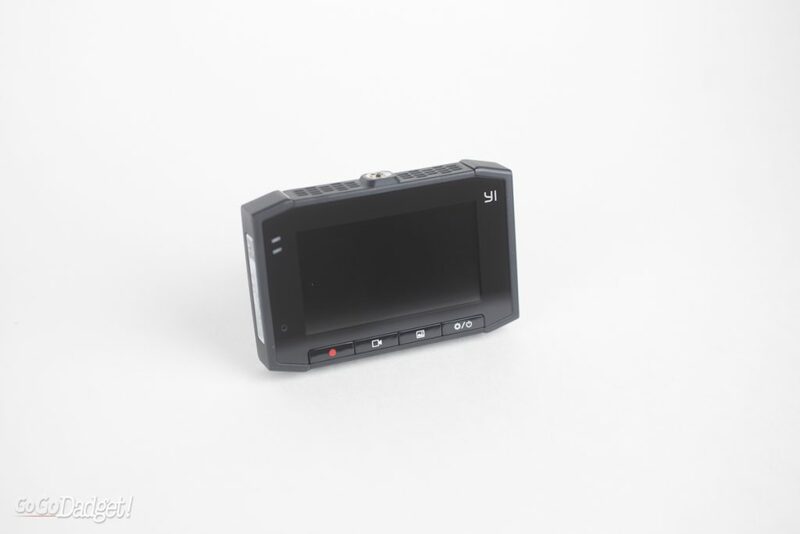 When it comes to recording, beyond the usual footage, the unit has a built-in 3-axis gravity sensor that will instantly activate if you get in an accident. More importantly, it will store and lock all the footage, including the moments before it all goes down. Also, the voice control works — it’s just awkward to use, just like every other thing that has voice control. It’s helpful when driving, but you’ll still feel goofy talking to a camera. This is where the Yi Ultra Dash Camera shines. They aren’t kidding when they say the 2.7k footage is sharp. In the daytime, everything is crisp, clear, and easy to see — from street signs to license plates. At night, things also look great. It’s really cool seeing nighttime footage, though in some situations, depending on the height of your car and the car in front of you, your headlights can blowout the license plate of the car in front of you and make it hard to read. This isn’t the camera’s fault by any stretch, just a set of circumstances. Here are some examples of both day and night (coming soon) — and warning, they’re boring. I bet most dash camera footage is, and I hope I never have to use it in a legal or dangerous situation, but will be glad to have it if I do. Here’s a quick rundown of the issues. That’s it — and a learning curve is fine. These are not deal breakers in any way. A quick rundown of the positives. When it comes down to it, the resolution alone is worth the price tag — and you get a bunch of other great quality perks in addition to it. 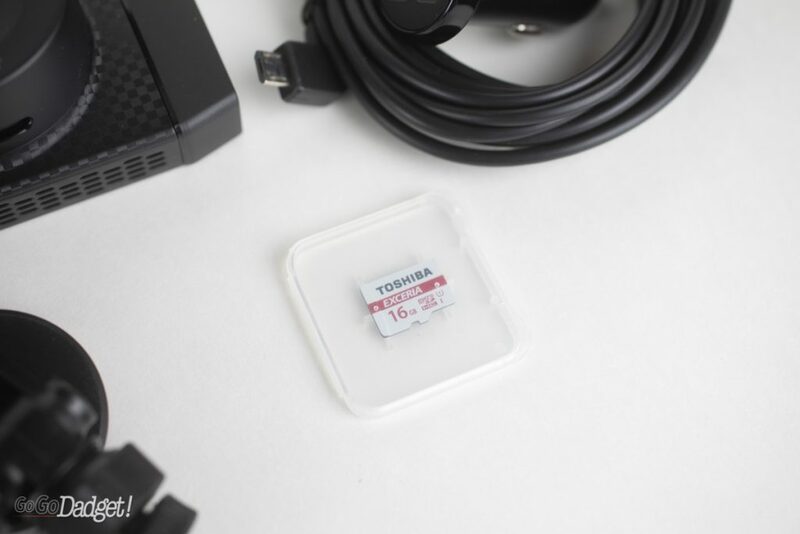 It’s fast, trustworthy, easy to access footage, great at night, and has accident detection. That peace of mind is invaluable. As of writing this, the Yi Ultra Dash Camera is available on Amazon for $89.99. Most decent dash cams will run you $50+, so you might as well invest in one that has the footage quality you need. You can also head to Yi’s website to learn more.